While the egg robbers and the bacon thief were about their dirty work (see previous post), another comical food-related incident was taking place, this time at a service station on the M4. Striding happily through the foyer while taking a break on his way to a business meeting, Kim’s brother-in-law Sean slipped on a patch of water and went crashing into a doughnut stall, sending the contents flying. As he lay there stunned, in a macedoine of water, sugar and broken doughnuts, poor Sean must have been torn between the desire to sue someone for the dangerously wet floor and the wish that Ernest the Bacon-Thieving Cat was around to lick the cream off his best suit. Kim’s own personal wish, she confided to me heartlessly, on hearing of the great doughnut disaster, was that she could watch it on YouTube. Sean got a similar amount of sympathy from the operator of the doughnut stall: far from rushing to assist and console the bloke writhing around the floor in an oozing, sugary mass of rogue doughnuts, she appeared to take the incident as a personal affront, designed to leave her with a heap of unsaleable doughnuts. 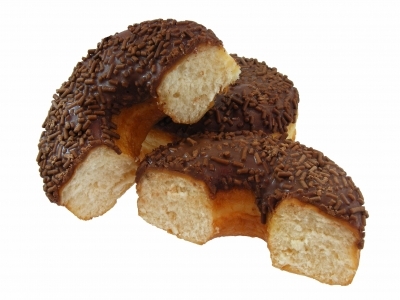 By a strange coincidence, the manufacturer of the doughnuts in question is offering an hour’s free parking to anyone who purchases a “Double Dozen” – whatever that might be – from its Cabot Circus outlet in Sean’s hometown of Bristol. I wondered if Sean might be eligible for the free parking since it sounds as though he must have had at least a “double dozen” of the things – though without the dubious pleasure of actually eating them.